Grew Up… a proper lady. Born into a wealthy family, Ada never had to take care of herself in any way, let alone engage in outdoor work. No, the real work was left to her servants, while Ada practiced brewing tea. Living… on Black Cove, the farm she just inherited from her minister father. Sadly, Ada doesn’t know the first thing about farming, let alone surviving a cold winter in Cold Mountain, a rural area that’s the polar opposite of her city-girl upbringing. She relies on the kindness of strangers, including Ruby Thewes, a no-nonsense young woman sent to help her keep the farm alive. With the Civil War raging and all the able-bodied men are gone, it’s up to the two women to survive. Profession… farmer. Ada starts accepting her new role as the out-doorsy type. 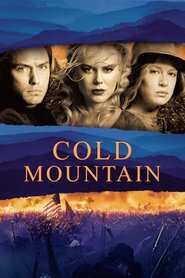 Especially because it doesn’t seem like the men will be returning to Cold Mountain any time soon. Interests… dresses, fine china, and pretty baubles. Now, however, Ada's only interests are keeping warm and keeping her stomach full. Challenge… surviving in Cold Mountain until Inman returns to her. As she tells him, “I will not leave Cold Mountain. My last thread of courage is to wait… for you.” In the meantime, she must bring this farm into working order and feed herself from its bounty. Personality… classy and refined. After a harsh season in Cold Mountain, she may just harden up and turn into the kind of independent woman that Ruby is. Ada Monroe's popularity ranking on CharacTour is #3127 out of 5,000+ characters. See our top-ranked characters and read their profiles.